Ships Friday, April 26 if ordered in the next 16 hours and 8 minutes! New—For kids reading their first chapter books, Word Wise, available on many popular English language titles, makes it easier to enjoy and quickly understand more challenging books. Short and simple definitions automatically appear above difficult words, so they can keep reading with fewer interruptions. Tap on a word to bring up a simple card with definitions, synonyms, and more. Kids can adjust the number of hints they see with a simple slider. 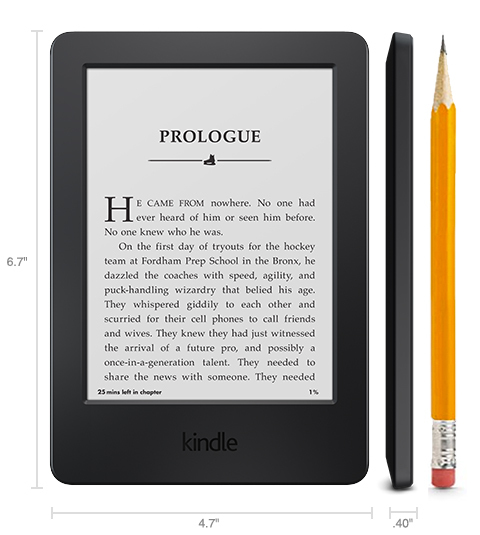 Review "Amazon Kindle 6" display with Pearl e-paper technology"